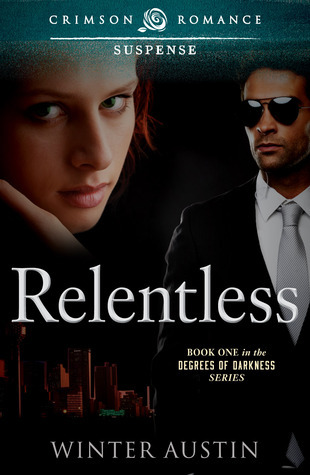 “Relentless” is the first book in Winter Austin’s Degrees of Darkness Series and I definitely look forward to reading the second one after reading this one. The Rodeo Sweetheart killer is back and women with red hair are being targeted in Dallas and homicide detective, Remy LeBeau is on the case to find out who it is. Remy wants to figure out why the killer is targeting certain women and also find out if the previous detectives are hiding something that happened before. He has Cody Lewis that actually finds one of the women’s bodies in her horse trailer. Now Cody is in danger of becoming a victim of herself since she fits the killer’s victim’s descriptions. Remy is not supposed to be getting attached to Cody due to what happened in his past. Unfortunately, Remy finds something about Cody that is intriguing. She’s a stubborn, strong-willed woman who will do at anything to have her dream come true in being the top professional barrel racer in the nation. The killer though has other plans and it is up to Remy and his partner to crack the case before the killer kills someone else, particularly, Cody. Winter Austin takes you on a chase to find the Rodeo Sweetheart Killer before it is too late. Once the killer is discovered, you’ll be in shock like I was who it actually was. Be prepared for twists and turns in “Relentless” and once you do read “Relentless” you’ll understand why it was named that title exactly. Remy was not always my favorite character due to his reluctance of showing his feelings toward Cody and Cody was difficult also. She has her dreams though to conquer, while Remy was hiding secrets. Remy was even losing trust from his partner as well due to hiding his past. I definitely recommend this book to romantic suspense and thriller readers. There is more suspense though, in this novel than a romance, and you’ll be more focused on cracking the case along with Remy than dealing with what Remy and Cody were trying to hide. I was provided a copy of the book from the Author in exchange for an honest review.